18th century Venice was an inspirational location for the pursuit of all artistic activities. Many masters of the Baroque era composed significant and lasting works in this city. 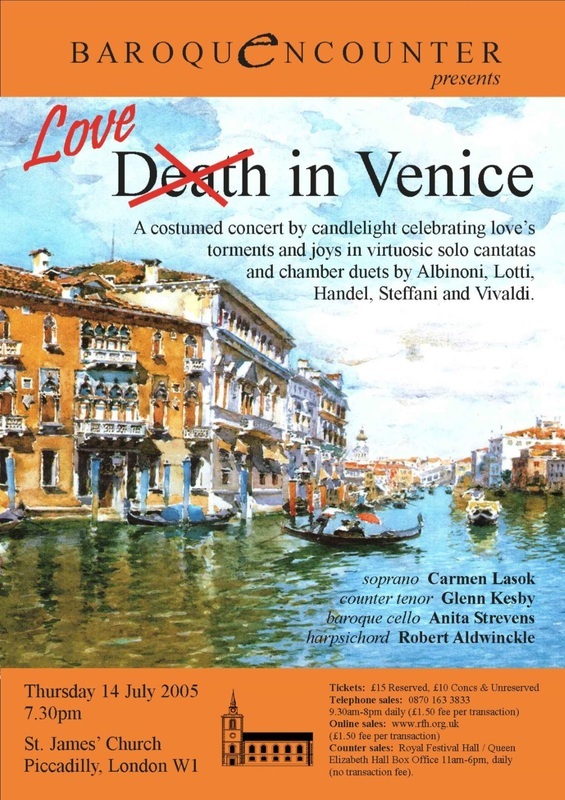 With Love in Venice Baroque Encounter celebrates love's joys and torments in virtuosic solo cantatas and charming chamber duets by accomplished composers who found their own inspiration in Venice: Albinoni, Lotti, Handel, Steffani and Vivaldi. The evening emulates the intimacy and glories of a salon performance with accompaniment by harpsichord and cello by candlelight and the singers are dressed in vivid baroque costume to visually enhance this truly baroque experience. Presented by soprano, counter tenor, cello and harpsichord.